A failure in YouTube’s ad selection tool has caused UK government ads to appear in some hate pelting videos on the website. Not just the government, ads of some major brands like L’Oréal have also been embedded in some of the hate videos on YouTube. Regarding the current issue with YouTube advertising, disturbing video content generating channels like Holocaust denier David Duke and Ku Klux Klan official have now got ads playing before their videos. Also, a controversial YouTuber from Britain, Steven Anderson’s channel is also among many hate infusing channels that are now getting ads on their videos. Reacting to the issue, various advertisers including the British government – have taken down their ads from YouTube. 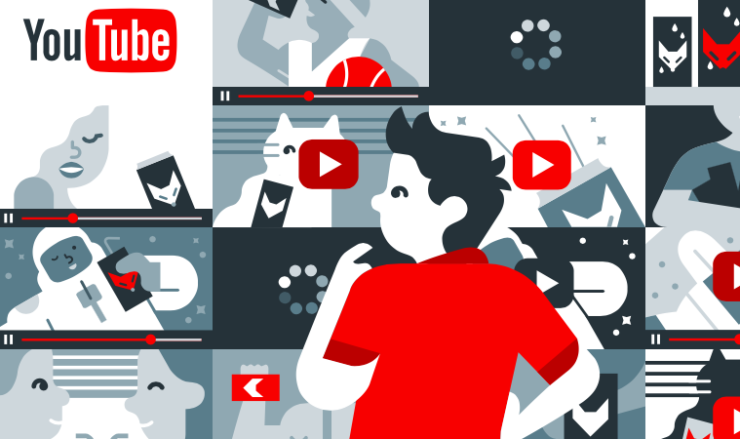 Defining the premises of the issue, you first need to know that YouTube employs a customized ad selection tool – programmatic advertising. The tool uses the cookies that are stored on devices to anonymously select advertisements that match the default interests of the viewers, which is detected from their browsing history. It pretty much explains why you always get to see related ads on YouTube and other websites. Founder of the advertising group The&Partnership, Johnny Hornby said that Google needs to ‘sort this out’ as it jeopardises the reputation of big advertisers. As a backlash, the tech giant itself is now facing a boycott from the advertisers. We have strict guidelines that define where Google ads should appear, and in the vast majority of cases, our policies work as intended, protecting users and advertisers from harmful or inappropriate content. We accept that we don’t always get it right and that sometimes, ads appear where they should not. We’re committed to doing better, and will make changes to our policies and brand controls for advertisers. To recap, Google is already facing a lot of heat from the UK for not removing hate content from its website. With this new goof up from YouTube, it would be interesting to see if the government takes some action against the website. One of the MPs from the UK, David Winnick also took a jibe at other social mediums like Twitter and Facebook by accusing them of “commercial prostitution”. Another member of the home affairs select committee, Chuka Umunna said that it was “staggering” to know that Google and extremists are obtaining money out of the hate content. YouTube usually relies on users to report against content on the website, and Peter Barron, Google’s vice-president for communications, touts that the website receives 200,000 every day to flag the content and its team reviews 98% of these complaints within 24 hours.